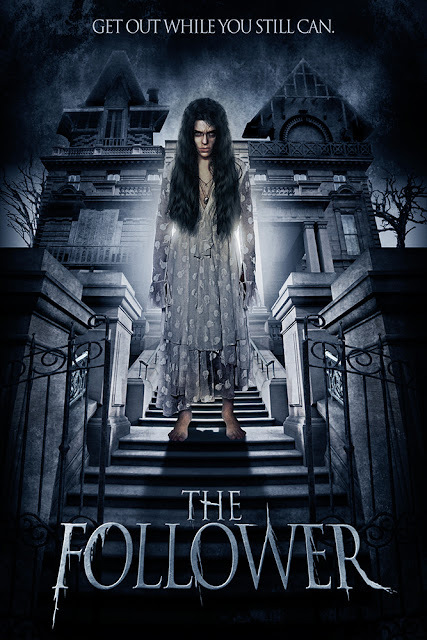 A while back we brought you news (HERE) on Kévin Mendiboure's feature film THE FOLLOWER. Well now the indie horror thriller movie has been picked up and released by Terror Films and is now out for your viewing pleasure. The story centers around Internet video blogger David Baker (Nicolas Shake). 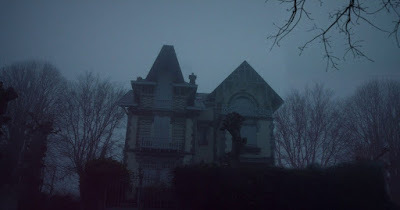 Baker is invited by an eccentric and lonely woman to investigate supernatural occurrences in her home. She instructs him that he is free to film everywhere except for her grandmother’s room, upstairs. At first, he sees nothing. However, things take a supernatural turn as he slowly discovers that things aren't what they seem. Even more disturbing, something may very well want to follow him out of this very haunted locale. THE FOLLOWER hosts a small cast and crew; also, it was nominated for several awards. Nicolas Shake and Chloé Dumas centrally star. The film was directed by Kévin Mendiboure (“The Photographer,” 2017). As well, THE FOLLOWER was nominated for “Best International Film,” “Best Thriller” and “Best Editing” at the 2017 FANtastic Horror Film Festival, in San Diego. In their ongoing effort to bring the best and most diverse indie horror content to the masses, Terror Films will release this film across multiple digital platforms. Platforms hosting the release include: iTunes, Amazon Instant/Prime, Vudu, Google Play/You Tube, X-Box Live and many others. The release begins with North America and will be followed by a worldwide digital release through iFlix.